Hi everyone! I'm sure at least those members on Discord have heard about this already, but there was a recent leak of an old Pokemon Gold demo from Spaceworld 1997. ›Please post revamps of any sprites discovered from the beta demo! We'd love it if they met the standards of Pokemon Essentials. ›Any sprite posted in this thread is free to use, so long as the artist is credited. ›Every post is open for feedback and critique! Especially when it comes to colors, there's a lot of room for discussion. ›At the time of posting this is a pretty informal project, but I'll clean everything up and package the sprites as a proper resource if it gains interest. 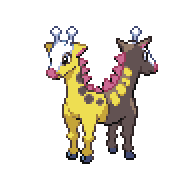 Funny enough, since Girafarig is one of the few Pokemon whose original design we actually knew about, I had the bright idea to make a Mega Girafarig based off of it. The beta design is actually extremely similar to what I made, so I just changed a couple of tiny details. No backsprite yet, though I doubt it would be that difficult to make. I might edit the post if I get to making it. If anyone wants to make their own take on these revamps, please do it. I'm sure a lot of these could be done better. 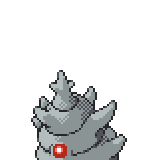 More of a recolor than a real revamp, since the original sprite was very modern and high quality. I did two of them today. A revamp, a recolor, and a custom sprite, because I'm very indecisive. (or I just wanted an excuse to draw Beta Murkrow 3 times in a row) Either way, all are free to use in whatever. TeamSpaceworld is still working on the ROM, so I updated the main post with a new image of all the sprites. There's fronts, backs, shinies, plus they've been numbered and named. Little recolour of HonoGuma. Got rid of unnecessary parts. Basically a cleanup. Had fun though. Edit: According to Google Translate, in Japanese HonoGuma means "Guardian Bear". 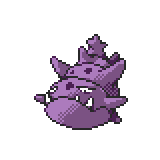 I wanted to go for Taban, as I am wanting to make a delta version of Cloyster in my upcoming project. 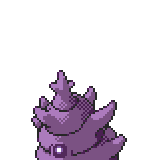 Infact, I made a shiny pallet that mimics Cloyster's colour scheme. 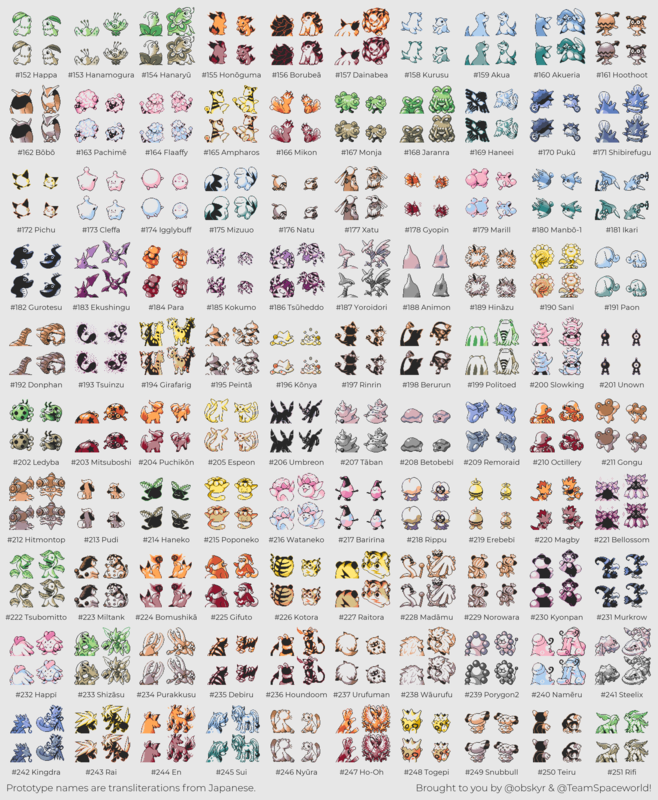 Hello, I just wanted to know if these Beta Pokémon are the original Beta Pokémon that Gamefreak/Nintendo made back then in gold/silver. 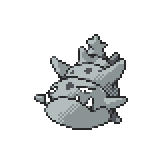 They were indeed created by Game Freak, they were found in the ROM for the SpaceWorld Demo of Gold and Silver. The team that released the demo recently merely found the game and published it in its entirety, including the Beta mons. What could've been, huh?